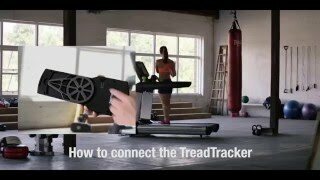 Turn any treadmill into a smart treadmill with TreadTracker. The TreadTracker accurately measures your treadmill speed in real-time and communicates it to the RunSocial or Zwift mobile app. Easy to use and virtually compatible with any treadmill. Bluetooth enabled, TreadTracker is compatible with Apple iOS and Android devices. Pair with your Apple TV to watch your run on the big screen. Stop running alone and schedule a virtual run with your friends with TreadTracker! *Distance from ground to underside moving treadmill surface. zwift - treadmill speed. very very good. 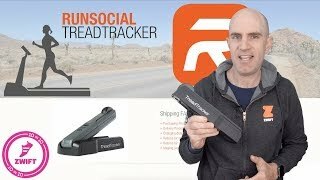 Using it for Zwift, easy and simple to set up. Only wish it measures incline. First off, excellent service by Gym & Fitness from the initial enquiry right through to the speedy delivery - thank you! The TreadTracker is an excellent addition to my indoor trainer to get me up and running on Zwift. Easy to setup/install and paired seamlessly with AppleTV 4K. Works a treat!